January is Cervical Health Awareness Month, and the Cayman Islands Health Services Authority (HSA) is encouraging women to take action to protect themselves from cervical cancer by educating women about the ways they can prevent the disease which include regular screening tests and the HPV vaccine. HPV is the most common sexually transmitted infection and is responsible for almost all cases of cervical cancer. More than 50 per cent of sexually active people will get HPV at some time in their lives, though most will never even know it. There are nine recorded cases of cervical cancer at the Cayman Islands Cancer Registry, however the Cancer Registrar Amanda Nicholson does not believe this to be an accurate representation of those with the disease. “This is probably one of those heavily underreported type of cancers and so I strongly encourage anyone who’s been diagnosed to contact me at the Cancer Registry. The evidence-based data you can provide will further fuel the cancer research necessary to improve quality of care and prevent further deaths from cervical cancer,” stated Mrs. Nicholson. Cervical cancer can often be prevented with regular screening, follow-up care and the HPV vaccine. In honor of National Cervical Health Awareness Month, HSA encourages women to start getting regular cervical cancer screenings at age 21 and parents to make sure pre-teens get the HPV vaccine at age 11 or 12. Teens and young adults also need to get the HPV vaccine if they did not get it as pre-teens. “While routine administration of pap tests is the best means of detecting cervical cancer at an early stage, vaccines have the potential to protect females from the disease, by targeting cancer-causing types of the human papillomavirus (HPV). The vaccine offered at the HSA can help protect against four types of HPV, two of which cause about 75 per cent of cervical cancer cases,” said General Practitioner Dr. Karina Palmer-Forde, who focuses on women’s health care. The vaccines are offered free of cost at the two government high schools, John Gray and Clifton Hunter. They are given in two doses – first dose in October and second dose in April. However, the vaccine is not mandatory and no child will be vaccinated without parental consent. Parents will also have the opportunity to be present at the time of vaccination if they choose. The target population for the vaccine is adolescents 11-13 years / year 7 and 8. This vaccination involves two (2) injections administered six months apart. 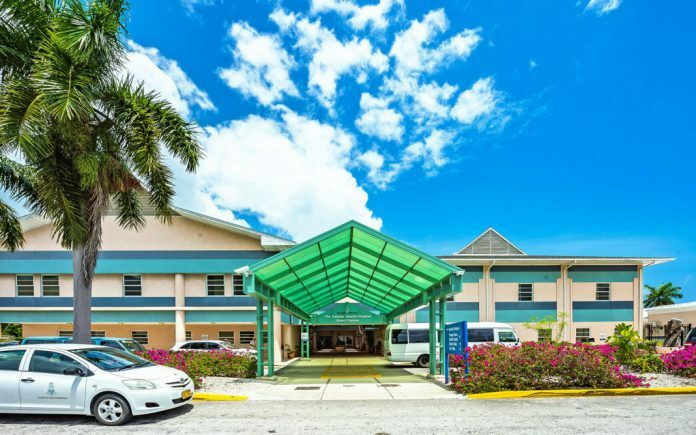 The HPV vaccination is available to women and men up to age 21 by appointment at the following Health Services Authority facilities: the Public Health Clinic at the Cayman Islands Hospital and Faith Hospital in Cayman Brac. Appointments can be made by contacting the health centres. Further information may be had by calling the Public Health Clinic on 244-2648, Women’s Health on 244-2649, Faith Hospital on 948-2243 and Little Cayman Clinic on 948-0072. Women diagnosed with cervical cancer and not yet registered with the Cancer Registry may contact Amanda Nicholson at (345) 244-2560 or email at [email protected]. For more information from the HSA on HPV and the vaccine, click here.